Black panther. This is the first black leopard in almost 100 years to be caught on camera in Africa. Occasionally, mutations in certain genes cause leopards (Panthera pardus) to overproduce the pigment melanin, resulting in a black coat. Leopards and other big cats with these dark coats are often referred to as “black panthers”. 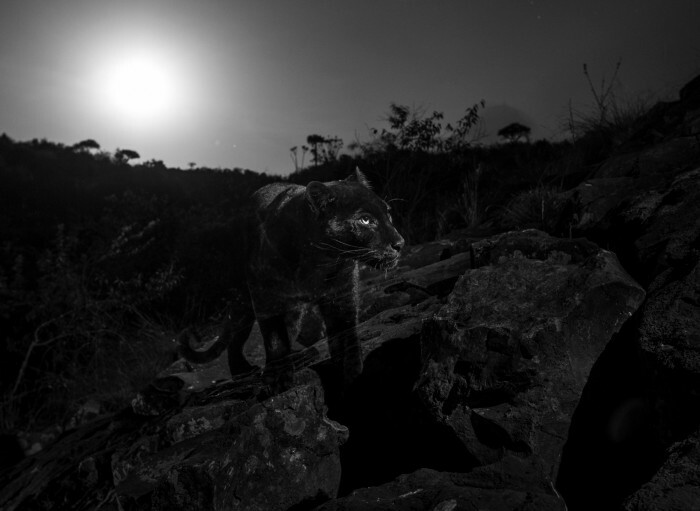 Will Burrard-Lucas used a camera trap to snap this image in Laikipia Wilderness Camp, Kenya. Volcanoes at dawn. 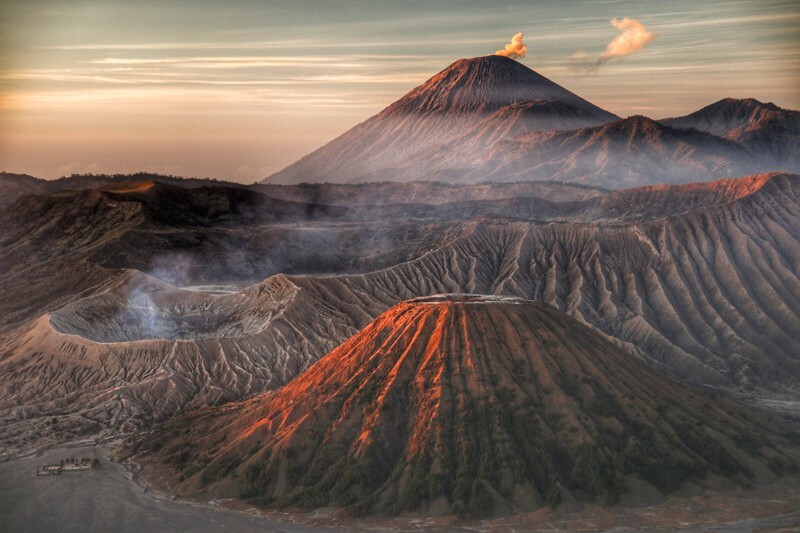 Smoke wafts out of Mount Bromo (left) as the Sun rises over Bromo Tengger Semeru National Park in East Java, Indonesia. The dramatic landscape, captured by Roslan Nasir, was shortlisted in the landscape category of the 2019 Sony World Photography Awards. 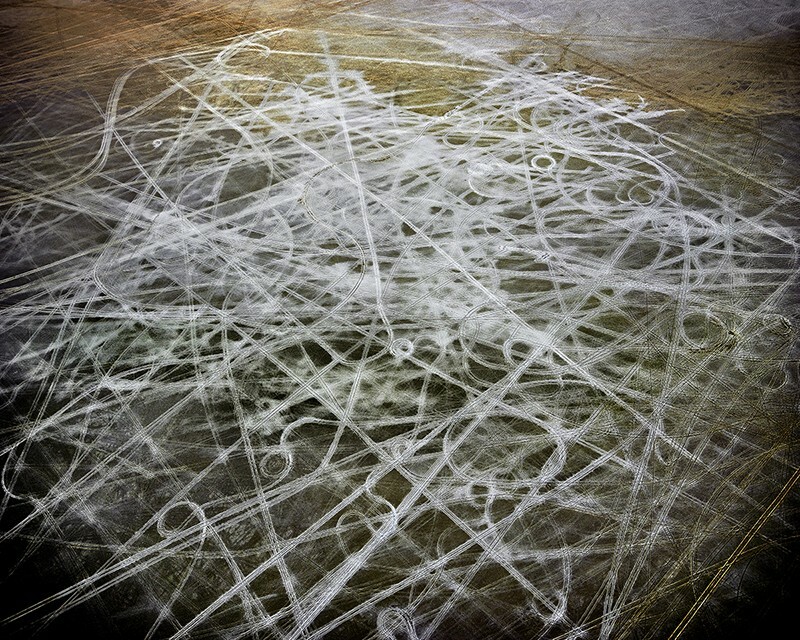 Salt tracks. Spanning an area of around 500,000 square kilometres from California to Utah, the Great Basin was once home to massive prehistoric lakes. The lakes have now mostly evaporated, leaving behind salt flats such as this one, captured from above by photographer Michael Light. Light’s photos of the region are on show at the Hosfelt gallery in San Francisco, California,﻿ until 16 March. Protective father. 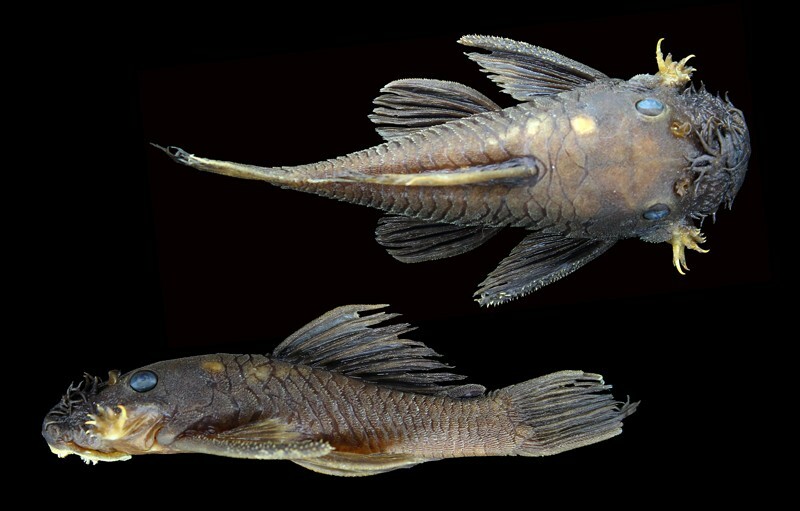 Say hi to Ancistrus patronus, one of six new species of catfish discovered in the Amazon and Orinoco River basins. The male fish have tentacles on their snouts that look like eggs, suggesting to potential mates that they make good fathers. And, in fact, they do: ‘patronus’ means protector, honouring how the fish guard their nests and chase away predators. The species were described in a paper published in February in Zootaxa. Polar-bear ploy. 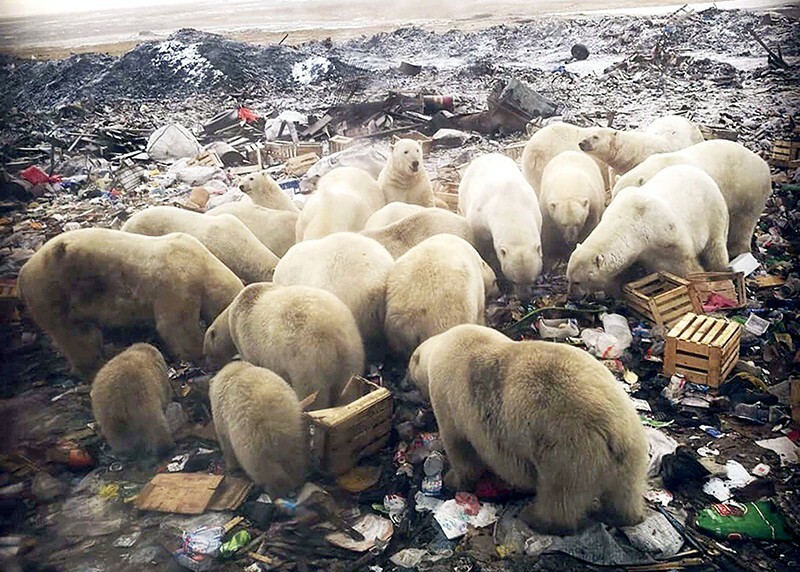 February saw more than 50 polar bears alarm residents of Belushya Guba, a small Russian town on the Arctic archipelago Novaya Zemlya. A state of emergency was declared as the animals entered buildings and roamed the settlement, feeding on food waste. Experts say that the animals moved inland to find food because the sea ice was late to form, preventing the bears from hunting seals. Keeping cool. NASA is building an electric aircraft, the X-57 Maxwell, which will boast 14 propellers along its wings. But all of those motors will generate a lot of heat, so engineers have been working out how to keep the craft cool. Their solution? Wrap the electronics in an aluminium skin, pictured here behind the nose cone. 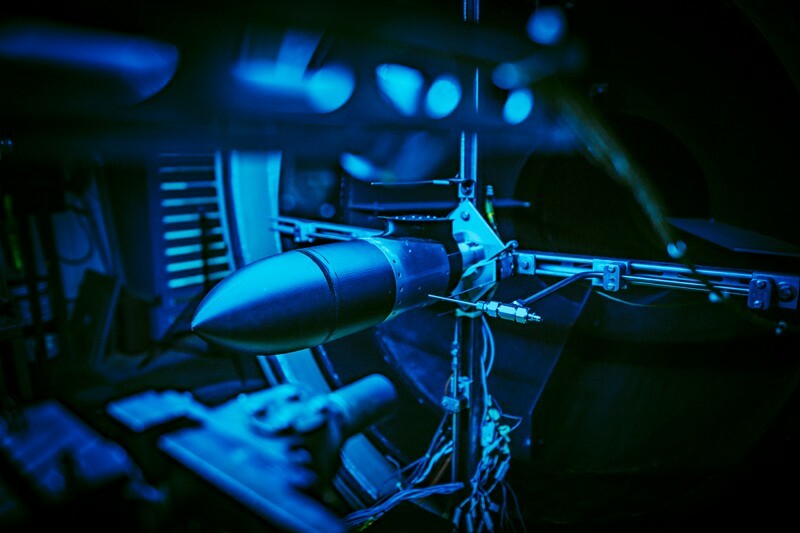 NASA says that the system was effective in a recent flight simulation that used a wind tunnel. Unexpected visitor. 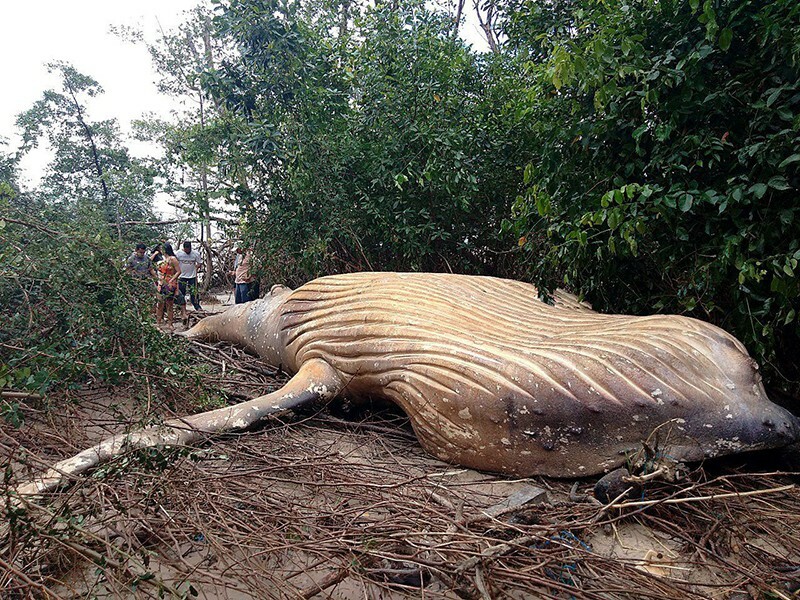 A humpback whale (Megaptera novaeangliae) was discovered stranded in a mangrove forest in Brazil on 22 February. The whale carcass, around 8 metres long, was found by fishermen on the island of Marajó, at the mouth of the Amazon river. Experts say that it is unusual to see humpback whales in the region at this time of year, and that the animal might have been sick and disoriented before it was washed up by high tides. Journey to the underworld. Scientists test Orpheus, an autonomous underwater vehicle developed to explore the depths of the ocean unreachable by humans. 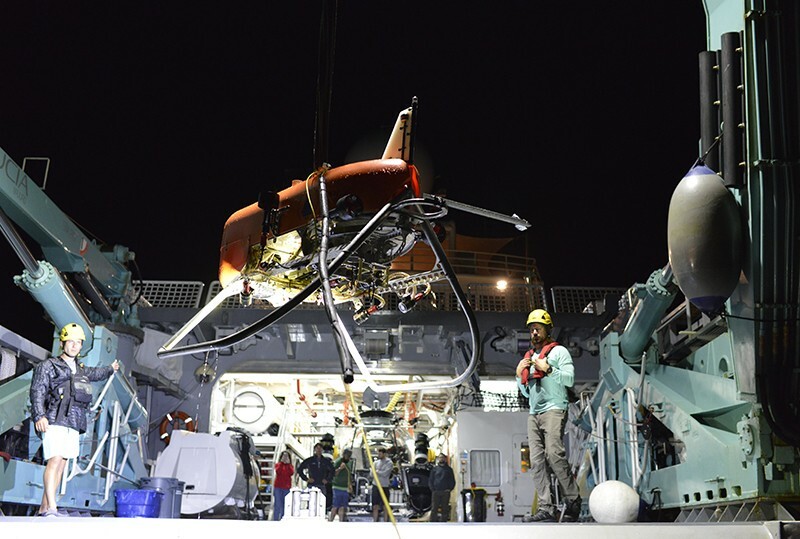 A team from the Woods Hole Oceanographic Institution in Massachusetts and NASA’s Jet Propulsion Laboratory in Pasadena, California, designed the robot and launched it from Alucia, a research vessel belonging to ocean-exploration firm OceanX. Just as the AUV’s mythological namesake travelled to the underworld, Orpheus will one day venture down into the pitch-black Hadal Zone, 6,000 metres below the surface. Underwater lizard. 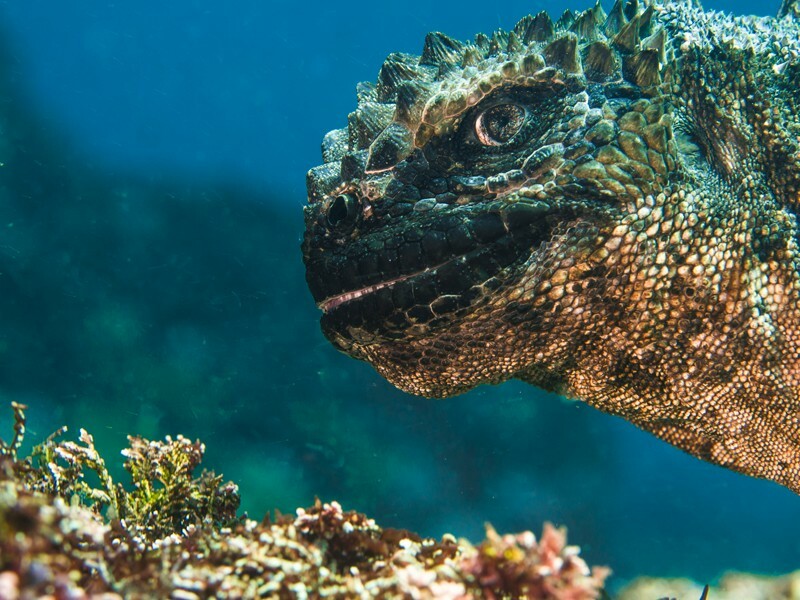 A marine iguana (Amblyrhynchus cristatus) seems to flash a sinister smile in this photo taken by Bruce Sudweeks. The Galapagos Islands, part of Ecuador, are the only place in the world that the iguanas live, and the species is considered vulnerable. The photo, titled ‘Oh no, Godzilla’, was runner-up in the portrait category of the Underwater Photographer of the Year 2019 competition.